Easy modern living at its most convenient. A short stroll to restaurants, supermarkets, banks and shops this location is superb for the young at heart and the wise amongst us. Near new two bedroom one bathroom end apartment with large kitchen and open plan living area which opens to a large deck. 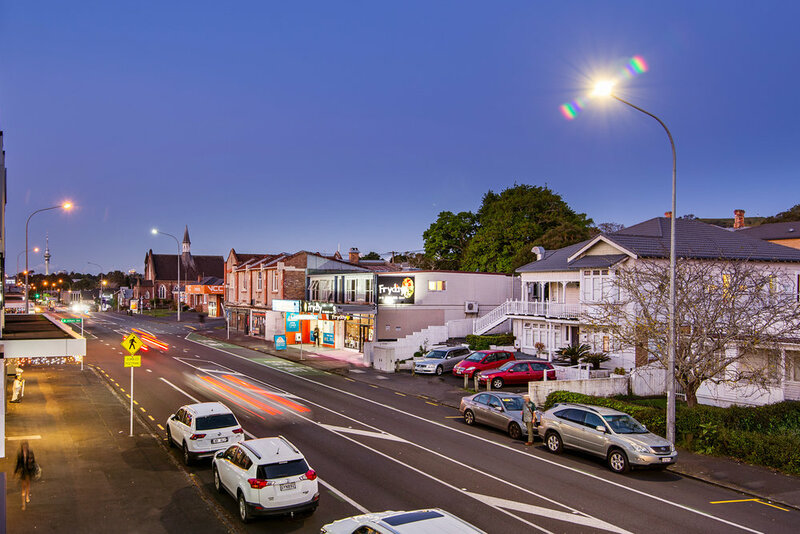 Elevated position offering expansive views of the Waitakere Ranges in the background and leafy suburban outlook from Mt Albert to Eden Park Rugby stadium in the foreground. Private apartment, walk in wardrobe off the main bedroom, bathroom has a spa bath and separate shower, well-appointed kitchen with Smeg appliances. High quality dual blinds throughout. There are two balconies, one east facing on Dominion Road and the other off the main living area facing west. Property features all double glazing, heat pump, DVS ventilation system, fibre connection, separate hot water cupboard, separate laundry cupboard, secure access throughout and one carpark in the lower basement secure carpark. 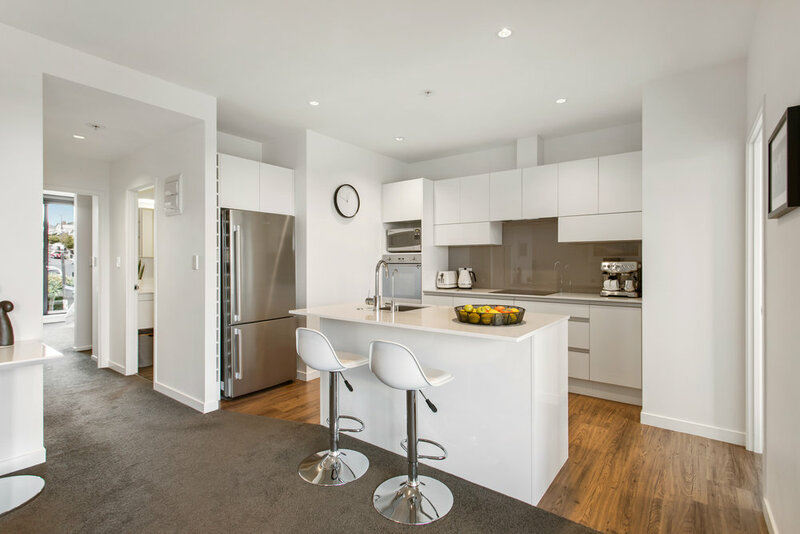 This apartment offers easy living at its best, all the convenience & amenities of Dominion Road and surrounding area plus the quiet leafy suburban outlook gives the occupier the best of city & suburban living. Centrally located between Eden Quarter and Balmoral Road ‘St Albans On Eden’ is on the corner of Dominion Road and St Albans Avenue. This near new complex consists of 15 luxury apartments and ground level shops & restaurants. There are two basement levels of secure parking, one level for retail and the lower level for apartments. From the St Albans Avenue vehicle entrance there is direct access to Dominion Road, Sandringham Road & Balmoral Road.